This limited edition BP designs Lauren Leotard is fully lined in the bodice and brief with mesh in the center and on the chest. Be smooth just like velvet with this leotard. You can't help but look at yourself in the mirror while wearing it! 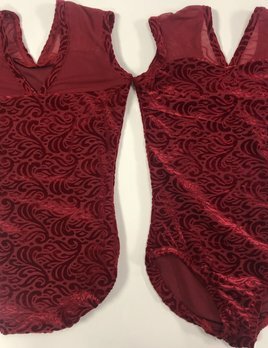 Now is the chance to own your very own Red Boutique Velvet leotard by BP Designs because what's in stock is all we have!